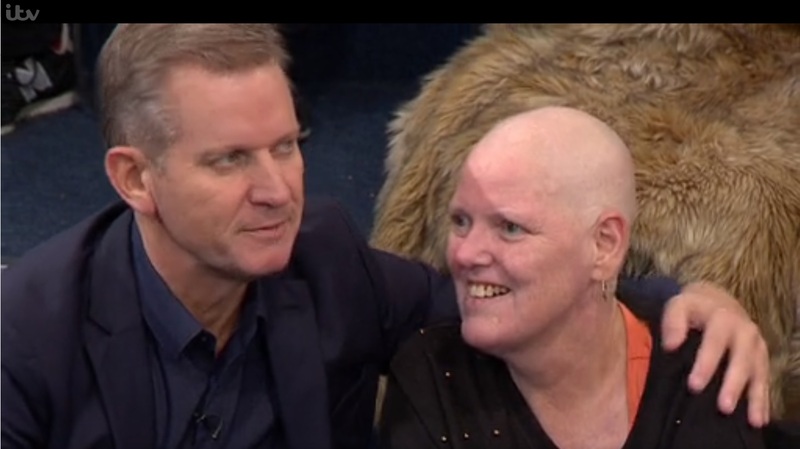 Viewers of The Jeremy Kyle Show were left in tears after a terminally-ill fan was granted her wish to appear on the programme. Elizabeth Powell was hailed “the star of the show” by host Kyle as she sat in the audience in an episode that aired a week after she died. Kyle told viewers at the start of the episode that she “has been incredibly unwell and desperate to see the show”. He left the studio to surprise her as she was queueing to take her place in the audience, telling her: “I know all about you. Yyour daughter Jenna arranged this, because today this show is all about you. The episode included a number of guests who were reunited with family members, before the focus returned to Mrs Powell. “You won’t mind me telling the people watching this – it’ll get me going – you have a terminal illness. Coming here today was something that was very important for you. Mrs Powell was shown a number of pre-recorded video messages from members of her family and friends, as well as her husband. She was presented with a bouquet of flowers and an envelope of money to get people together for a meal. The end credits included a tribute to Mrs Powell, which revealed she had died on January 9 at the age of 57.
my heart has just absolutely broke at jeremy kyle i can’t stop crying what a brave woman!! Another wrote: “Crying buckets at #jeremykyle. People slag off this show but what he does for people is amazing and what a lovely thing to have done too for #elizabethpowell and her family too. A number of other viewers said they were “heartbroken” and praised Kyle for including her in the programme. The Jeremy Kyle Show tweeted: “Such sad news to hear about Elizabeth after the show, our hearts go out to Jenna and the family in this difficult time.